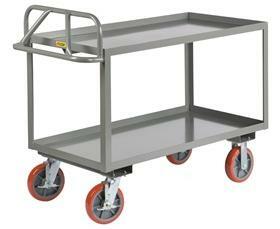 All welded construction with heavy 12 ga. shelves, these units ship fully assembled and ready for use. 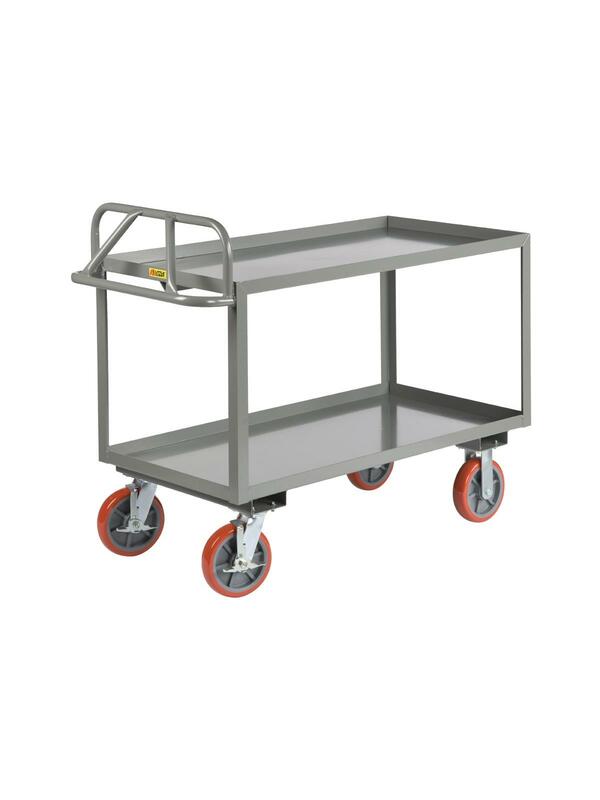 Non-marking polyurethane wheels (2 swivel, 2 rigid) provides the best combination of reduced rolling resistance and quiet operation. 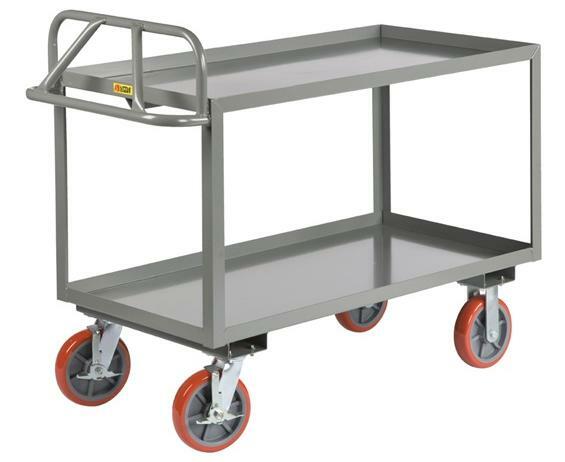 Wheel brakes on swivel casters standard. FOB Shipping Point.